Som Tam Nua on Siam Square Soi 5 is a casual and trendy dining spot that has risen to fame serving up tasty, foreigner-friendly papaya salad and other Issan-region dishes. 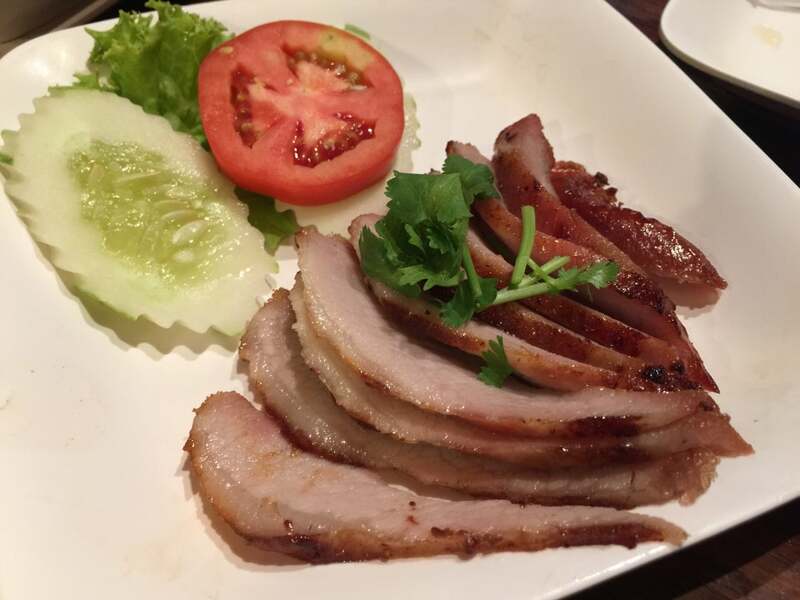 Why Som Tam Nua Restaurant is special ? Thai dishes such as pad Thai and tom yam soup might be better known abroad, but neither are eaten as regularly in Thailand as papaya salad, and Som Tam Nua is a great place to give it a try surrounded by an interesting mix of customers in a pleasant, clean air-conditioned environment. 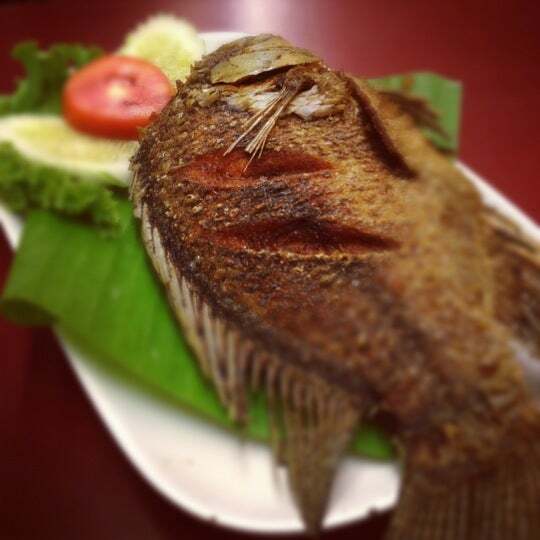 How to get to Som Tam Nua Restaurant? 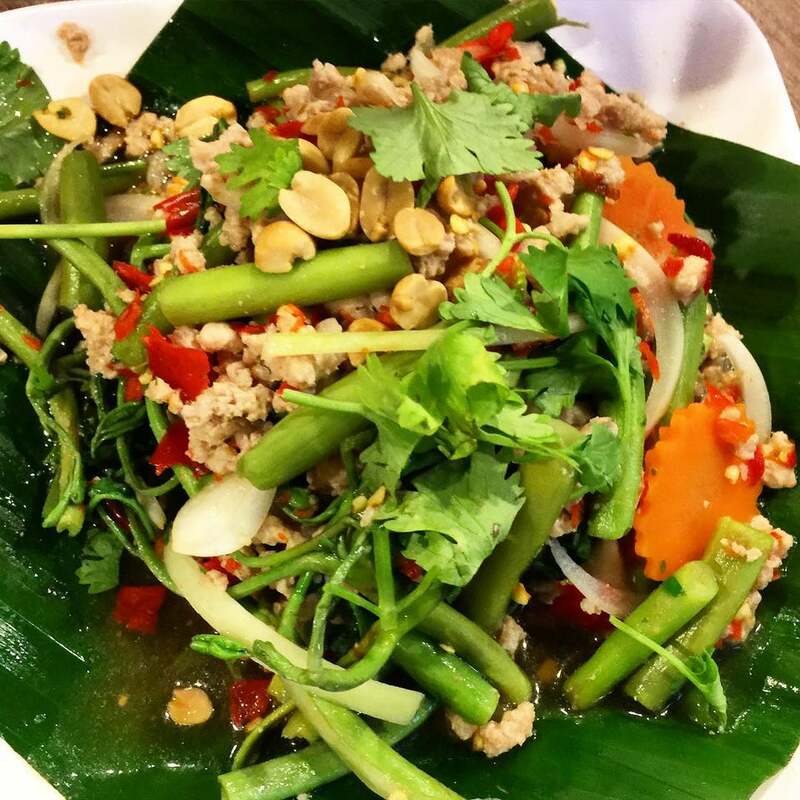 Som Tam Nua (ส้มตำนัว สยามสแควร์) is on Siam Square Soi 5. Across the street from Siam Paragon, find Siam Square Soi 5, walk down (there might be some construction taking place), and you’ll see the yellow and brown sign with a crowd normally standing outside. 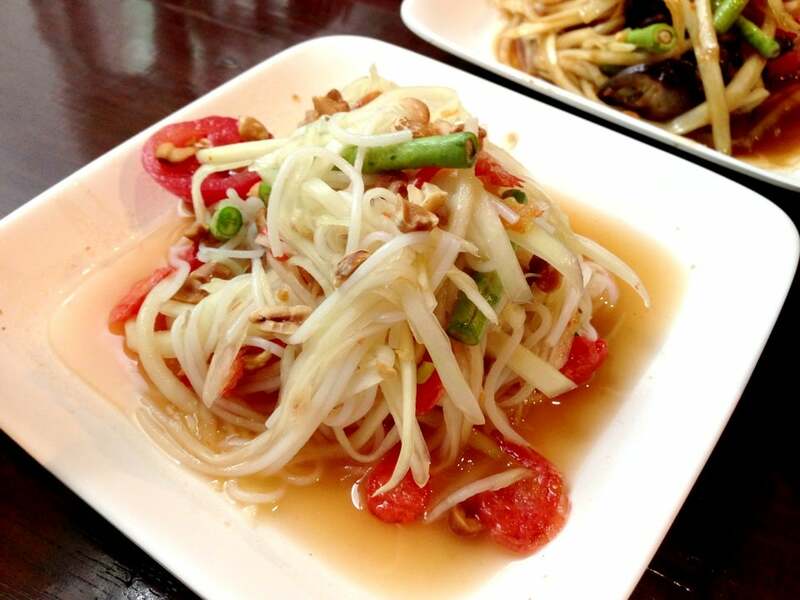 The papaya salad here is sweeter and less spicy than at other places around town, perhaps catering to foreigners’ taste buds. Som Tam Nua is a restaurant where you line up outside, waiting your turn for seats. The restaurant gets crowded fast, so either be there early or be prepared to wait. This restaurant has been around for some years now. Originated in Siam Square and now i think they have more than 3 branches in Bangkok. 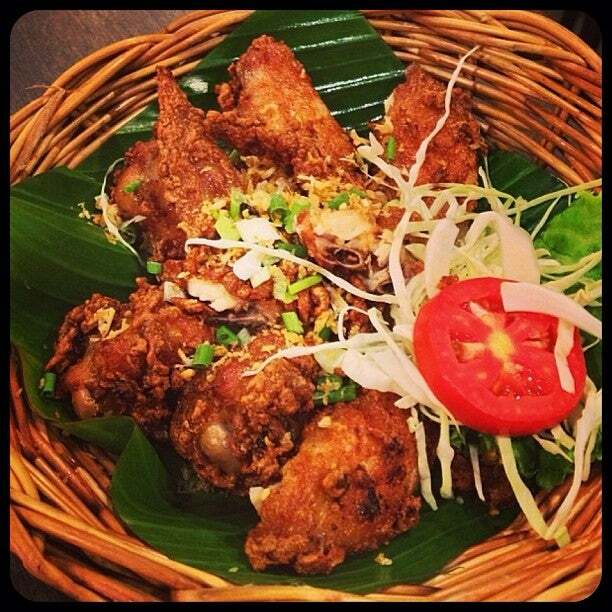 If you are looking to experience spicy Thai foods, especially Som Tam (papaya salad) , laab and the best dish of all is actually Fried Chicken Wings. The price has been on the rise recently. But, it is still acceptable. I'd still prefer the original branch in Siam Square. But i also tried the one at Siam Centre. Both have same taste. Recommend this restaurant for those looking to experience real thai e-san foods with reasonable prices. Love the fried chicken! Decent som tam (papaya salad) & sticky rice. Sinful snack - pork rinds!